Best Gooey Brownie Recipe EVER | FoodGaZm.. 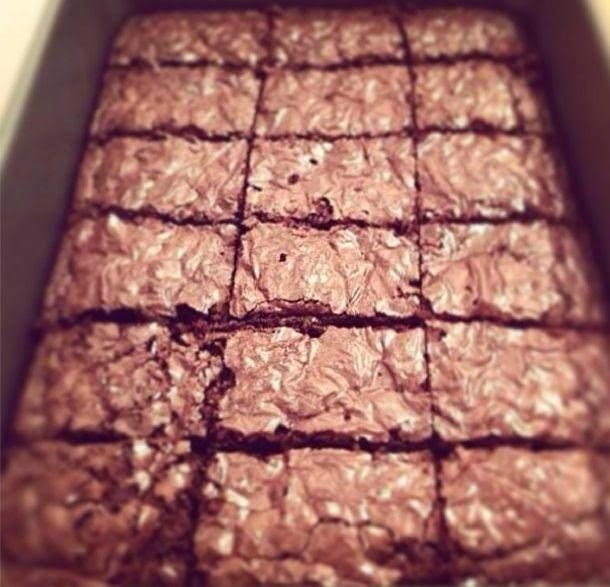 I just made these brownies today and I'm never making brownies from a box again! They are so moist and rich. Perfection! Brownies from scratch using cocoa powder and semisweet chocolate chips.. Melt the butter and lightly grease a pan of your liking (I used an 8x8 because I like a thicker brownie). (ALSO, THE BATTER IS GOING TO RISE. PLEASE, DO NOT BE ALARMED! ONCE IT SINKS, WHICH TAKES ALL OF 10 MINUTES, I CAN ASSURE YOU THEY MIGHT BE THE BEST BROWNIES YOU'VE EVER TASTED. ).